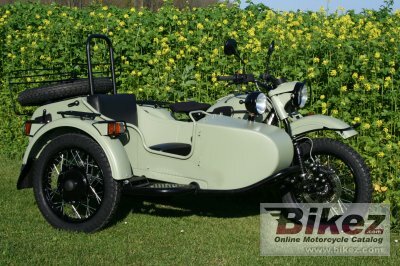 2014 Ural Ranger Frog. Picture credits - Ural. Submit more pictures. The Ranger is the best Ural concept ever, therefore it does not matter, that the Ranger is now presented in an ugly frog dress. But who knows, maybe the Ranger Frog will turn into a prince when kissed by a virgin. Comments: With sidecar. Jerry can, spare wheel, luggage rack, spotlight, shovel. Ask questions Join the 14 Ural Ranger Frog discussion group or the general Ural discussion group.